Here’s a great article by Elizabeth Walling that was written back in July of 2009 and featured in the Natural News newsletter. It gives information for using one of my all-time favorite self-help aids (see Coconut Oil: Yummiest Health Aid Ever post) for cleansing and detoxing the body…..
(NaturalNews) With fad detox methods around every corner, it’s hard to know which one can provide a healthy cleanse without unpleasant side effects. A coconut oil detox is an excellent way to cleanse without using complicated formulas or living off nothing but water for days on end. Coconut oil is a powerful cleansing food that also provides plenty of natural energy during a detox. Coconut oil is largely comprised of medium-chain fatty acids, which are sent directly to the liver for energy rather than storage. This type of fat is ideal for a cleanse, since it can provide the energy needed at a time when less food is being consumed. – Candida. In modern society, candida overgrowth is almost an epidemic. More people are experiencing systemic candida, when the problem spreads throughout the body and causes a myriad of unpleasant side effects. A coconut oil detox is completely void of sugar and other carbohydrates, which effectively starves off all candida in the system. People who suffer from candida will notice many conditions improve or disappear after a coconut oil detox, including sugar cravings, fatigue, eczema, acne, repeat sinus infections and poor concentration. – Fungal infections. Often connected with candida, repeat fungal infections like ringworm and jock itch are linked to an imbalance of bacteria and fungal organisms in the body. The lauric acid and caprylic acid in coconut oil are ant-ifungal, so a coconut oil detox is an effective way to cleanse the entire system of fungal growth. Many people with fungal conditions report a complete recovery within the cleansing period. – Digestive conditions. A coconut oil detox can help banish digestive conditions like irritable bowl syndrome (IBS) and leaky gut syndrome by restoring health and balance to the digestive system. – Viruses. Lauric acid, which is found in abundance in coconut oil, is converted into monolaurin in the body, which has strong anti-viral properties that can protect against and even destroy lipid-coated viruses like herpes and influenza. A coconut oil cleanse is a very simple detoxification method that replaces regular food with coconut oil, usually for about 3-7 days. Start your day with two tablespoons of coconut oil and take 1-2 tablespoons throughout the day as necessary for up to 14 tablespoons total each day. Take the coconut oil plain if you enjoy it that way, but those who can’t tolerate swallowing the oil straight can mix it with warm lemon water or plain organic yogurt if necessary. You can use stevia if you’d like to sweeten the lemon water or yogurt, but no sugar should be consumed during the cleanse. 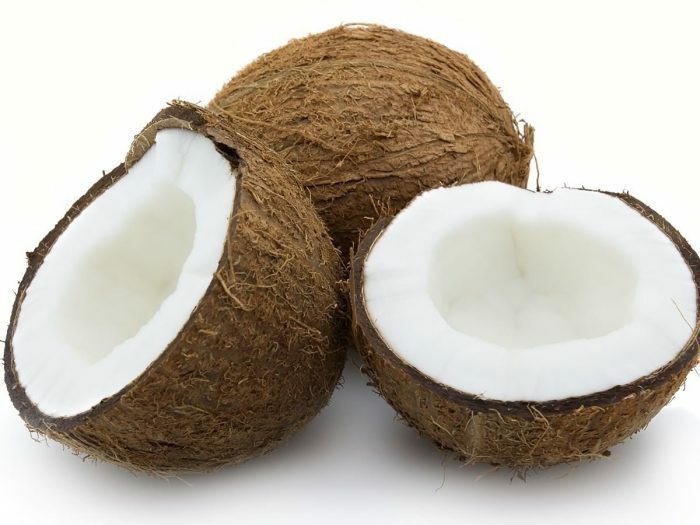 In his book Coconut Cures, Dr. Bruce Fife adds that you can eat up to four ounces of fresh coconut meat daily while on the detox if needed. The best kind of coconut oil to use to detoxify is organic, raw extra virgin coconut oil. This type of oil should be completely unrefined, expeller- or cold-pressed, unbleached and not deodorized. This ensures you are getting the maximum natural benefits from your coconut oil. If you have never taken coconut oil before, then you’ll want to let your body adjust by slowly incorporating it into your diet before trying a coconut oil detox. Start with 1/2-1 teaspoon three times per day. Gradually work your way up to 1-2 tablespoons three times daily. It may take two weeks to work up to the full amount. When you feel comfortable taking this much coconut oil, then you should be ready to start a coconut oil detox. Some people will experience “die-off” symptoms when they begin a coconut oil detox. These symptoms are often flu-like, including headaches, joint stiffness, dizziness and foggy-thinking. It may not feel so good, but it’s a sign that your body is ridding itself of harmful toxins like fungal organisms. Die-off symptoms usually only last for 3-5 days, but you can ease them by gradually introducing coconut oil to your diet before doing a detox. The lemon juice has cleansing properties, and the sea salt replaces minerals that may be lost during a cleanse. Add stevia for a sweeter taste, but do not sweeten with any kind of sugar. Remember, if you have medical conditions or if you are on prescription medications, it’s important to talk with your physician before trying a coconut oil cleanse. p.s. Be sure to read my previous post on coconut oil and subscribe to Self-help Health so you don’t miss any future posts. Also check out my website’s To Your Health page and Evolution Made Easier blog for more self-help health tips, tools and information.